This Saturday night started with horrible news of another missing flight aircraft carrying several passengers. Yes I am talking about, Air Asia flight QZ8501. Praying to get some answers for the friends and family of passengers and crew members, the uncertainty of the fate of loved ones is very difficult to go through. I think 2014 is going to end with another sad note. I am getting better from my bout with bronchitis and cough, still coughing but the intensity has gone down. I like to try home remedies always, this time so sick that I didn’t try anything. I have made this Shatavari milk earlier, however not able to chance blog about it, finally I did. Shatavari means “a woman who has a hundred husbands”. It is wild asparagus (Asparagus racemosus). 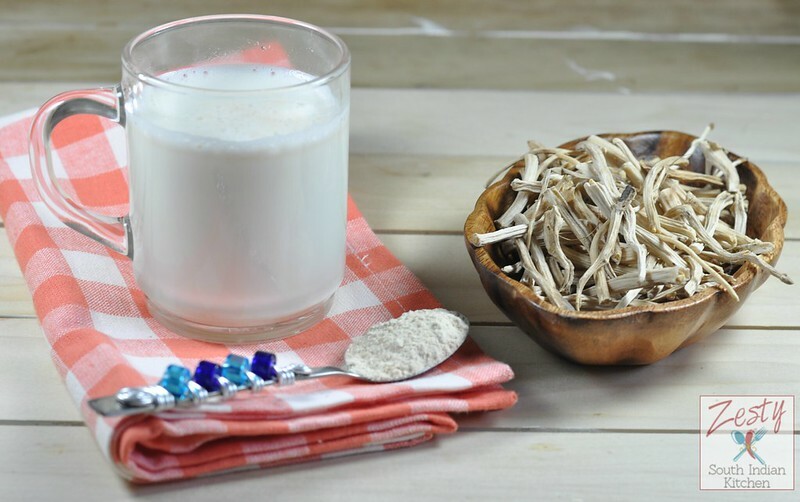 Shatavari is a traditional Ayurvedic antispasmodic; an aphrodisiac, demulcent, digestive, diuretic, galactogogue, and is often used for infertility and for women’s health. The root, rhizomes and stem are mainly used. Shatavari contains natural phytoestrogens and so can be used as an alternative to synthetic HRT(Hormone replacement therapy) by gently and naturally rebalancing estrogen levels. In India it is used as women’s tonic; according ayurveda it increase ojas, means vitality. Ayurvedic practitioners often recommend it for hot flashes, night sweats; vaginal dryness, anxiety and memory loss. I have seen ladies who are pregnant used to take shatavari kalpa an ayurvedic preparation to increase quantity of breast milk production during later part of pregnancy. Also it is good take some time it is mixed with ghee and taken as shatavari ghee. Or it is taken with milk around ½ teaspoons to 2 teaspoon maximum in a day. Start with low doses then sees how your body reacts then increase the amount. It is better take with milk rather than water. Read from more here. Earlier, I was planning to make Shatavari kalpa which is a preparation made with Shatavari root and sugar, however the amount of sugar going to the recipe scared hell out me. Yes for 50 g Shatavari root we need 250g of sugar. So drop the idea of making it immediately. Then decide to make Shatavari milk, I made with ½ teaspoon of Shatavari powder to 1 cup of milk. . Taste is good; I didn’t add any sweetener here too. It is really helpful herb for women’s health; since it is natural there is no side effect. As it is mentioned by Ayurvedic medicine, it will be good for health so there is no harm in trying them. Here comes the recipe. Natural and easy way of boosting your estrogen levels. Powder the shatavari root in coffee grinder. Boil milk in a sauce pot. To this add shatavari powder and mix well. Enjoy while it is warm. 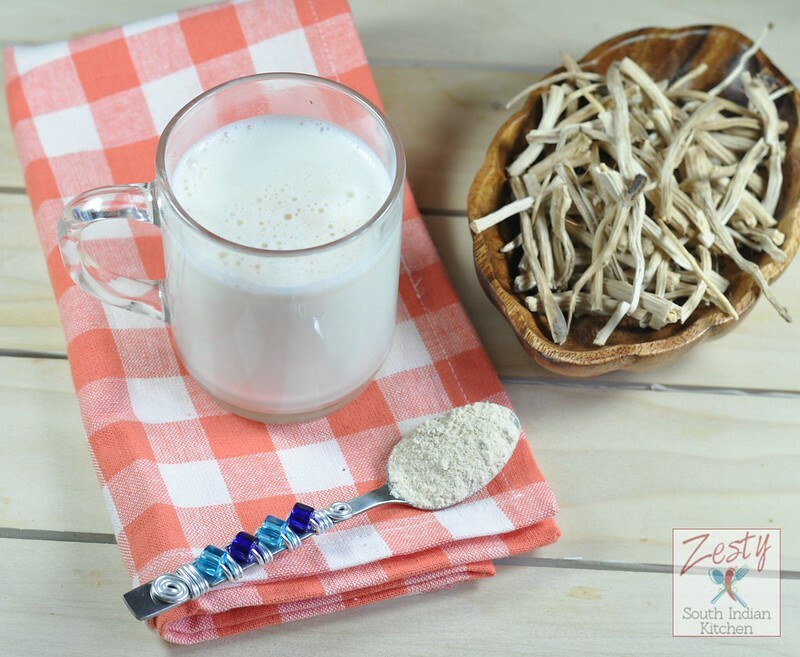 Increase the amount of shavatari root powder amount as you much you can tolerate. this is new to me.. will try.. So easy to make.. Wll try that for sure..